Here you'll find What You Need to Know! Find more at GDCTA.org. High resolution candid and winning photos should be sent to yearbook@gdcta.org. 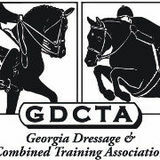 GDCTA membership year is December 1st through November 30th each year but you can renew/join now for 2019. Volunteers are a huge part of the success of our horse shows. For more information on our volunteer program, email Heidi White heidiann5683@yahoo.com or go to Sign Up Genius http://bit.ly/Volunteer-GADS to pick your volunteer job right away! The Equestrian Journal will again donate journals to each of our grant winners. Accepting Grant Applications through June 1 st .
JOIN THE GDCTA COMMUNITY Get socialized! If you would like to be a Kudzu Klinic clinician or would like to hold a KK in 2019 at your facility, please contact Erin.